Also Known as Holy Basil (Ocimum Sanctum), Tulsi is a sacred plant from India used in traditional Ayurvedic medicine. Tulsi is considered an ‘elixir of life’ that provides alchemy to one’s well being. The plant is said to promote longevity, for it contains many beneficial compounds known as phytochemicals, and has strong anti-oxidant, anti-bacterial, anti-viral, and immune system enhancing properties. Tulsi is an adaptogen, meaning it helps the body adapt to stress. 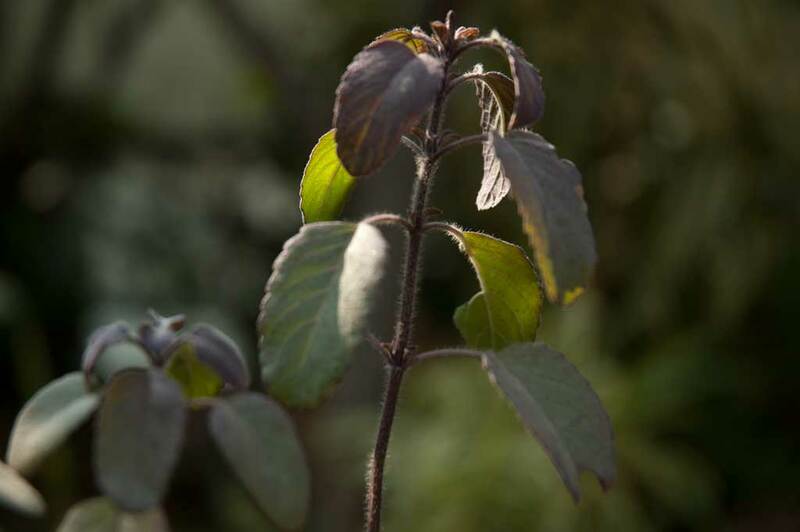 There are three Tulsi varietals, each with a distinct flavor: the Green Leaf (Rama Tulsi), Purple Leaf (Krishna Tulsi) which bears dark green-to-purple leaves, and a third, considered the most flavorful and also hardest to grow, Wild Forest (Vana Tulsi). 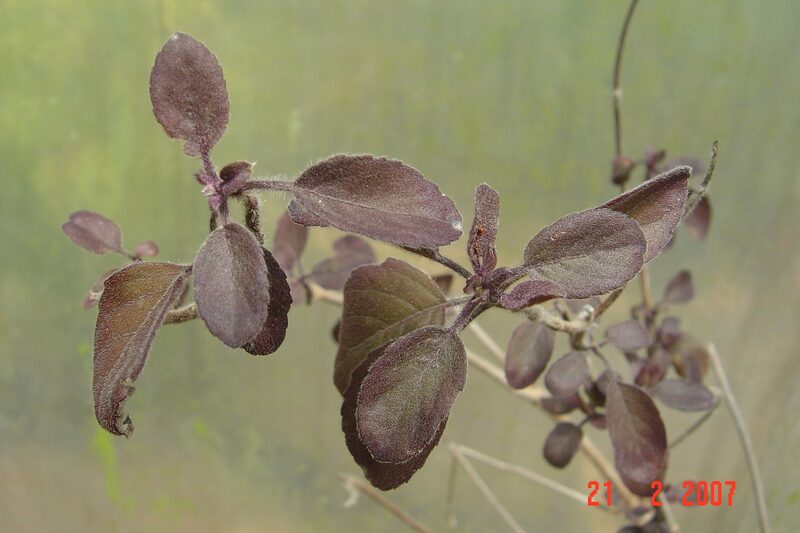 This is the Purple leaf Tulsi varietal (Krishna Tulsi). 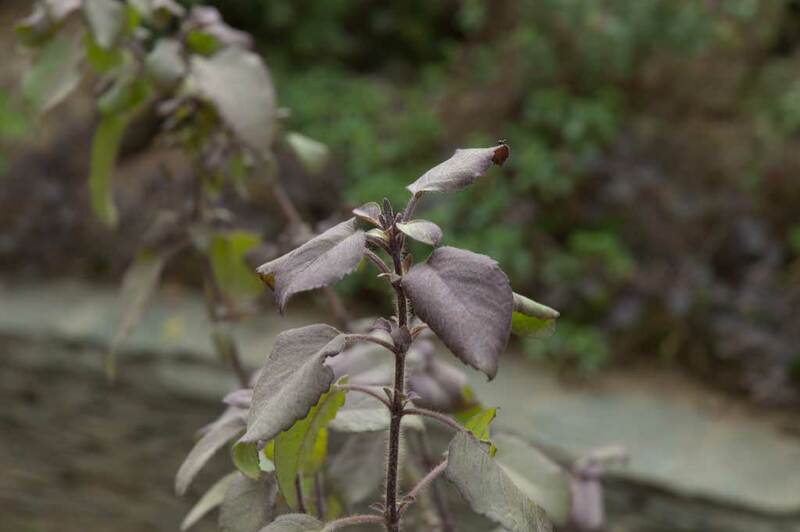 The purple leaf Tulsi is known for its slightly spicy, peppery flavor with cinnamon undertones. Tulsi is caffeine-free. We work only with small-scale Tulsi growers that need an assurance for their harvests. As such, we provide up-front guarantees to purchase their produce and help sell it through a market-education development approach. As we grow, we envision our ability to help more small-scale and marginal Organic farmers in this process. Most Tulsi is still grown conventionally and the transition to Organics is recent. We hope to be among the few Tulsi companies that are in the forefront of this movement. Ingredients: 100% Organic Purple Leaf (Krishna) Tulsi leaves and stems.